Web design and development, backend integration. 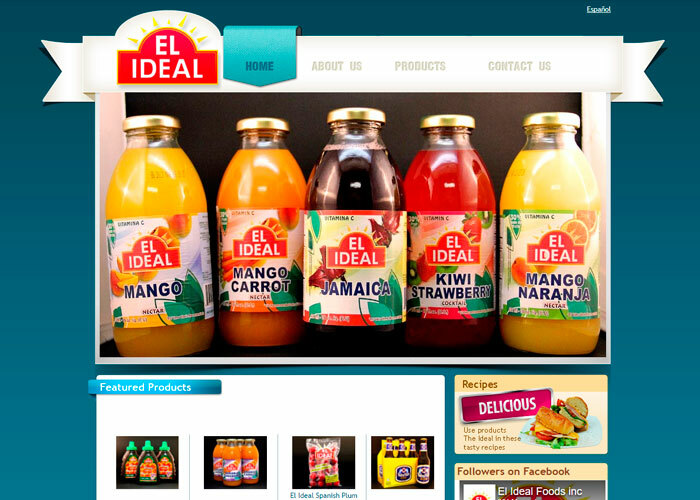 El Ideal Foods Inc started as a Hispanic product wholesale distributor in the USA in 2003, since then it has been covering the everyday growing Hispanic community in the United States and gaining the heart of the American people, this had allow the introduction of a line of products El Ideal. DKByte developed a bilingual virtual catalog to show the different product and its categories, including; Desserts, Dairy, Frozen, Grocery, Fruit Juices, Dry Fish, Miscellaneous, Beer, Masa Brosa Flour and Others.